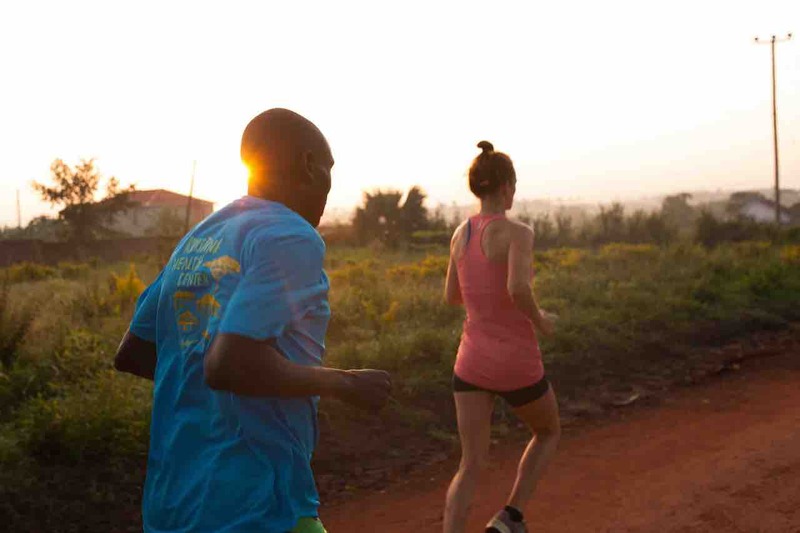 A shared sense of humour is a great place to start a friendship, and that is how two middle distance runners, Eloise Wellings and Julius Achon, first hit it off at the Nike Oregon Project in Portland, Oregon, whilst she was preparing for the Beijing Olympics. Love Mercy Australia mission: to empower communities in Northern Uganda to overcome poverty after decades of civil war. I am talking with Eloise about her latest fund-raising and awareness-raising initiatives as Ambassador of the Love Mercy Foundation, which she co-founded with Julius. Apart from the drive and talent to compete for their respective countries at the highest level, they have both overcome significant adversity along the way. That, however, is where the similarity ends. For Eloise, adversity meant recurrent stress fractures that saw her miss out on two Olympics. Beijing would go on to be the third that she missed, although she ultimately made it to Rio in 2016 where she was the highest finishing Australian woman in the 10,000 meter event. Julius had an altogether different journey. Abducted from his home in Uganda to work as a child soldier at 12 years old, he managed to escape and return to his village, where he used his talents as a runner to go on and represent his country at the Atlanta and Sydney Olympics. Tragically the civil war claimed the life of his mother just prior to the Athens Olympics, and a car crash in 2007 ended his running career. Julius went on to work as a coach in Oregon, where he met Eloise. Shortly after they met he told her this story. On a routine training run in Uganda, he stumbled across 11 orphans huddled in a bus stop, victims of the ongoing civil war. Unable to abandon them to their fate he took them in as his own family. For Eloise, his story of personal struggle and selflessness was truly inspiring and helped to put her own battle with adversity into perspective. 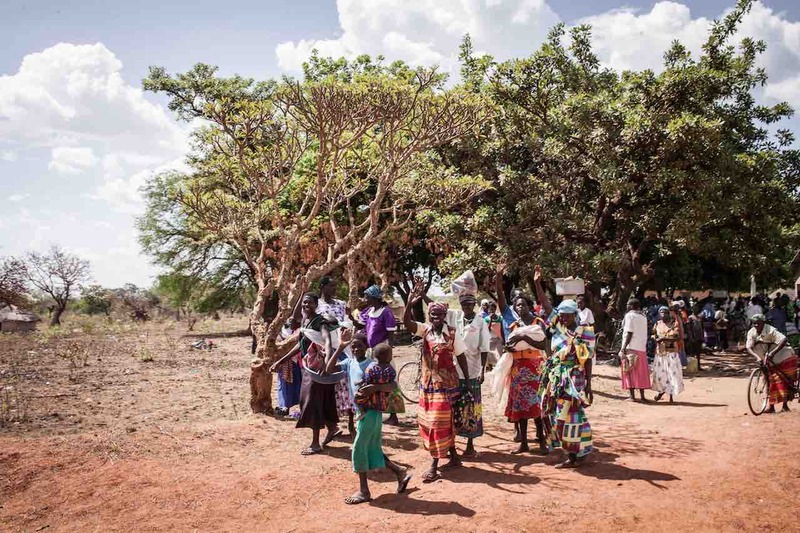 Love Mercy Australia vision: Northern Uganda is being transformed by simple solutions to poverty, by empowering women and girls to increase access to education, health care, and income generation. Their friendship was solidified further when she and her husband were invited to Julius’ wedding in Uganda. Here, they could see with their own eyes the devastating impact of the civil war on his community. 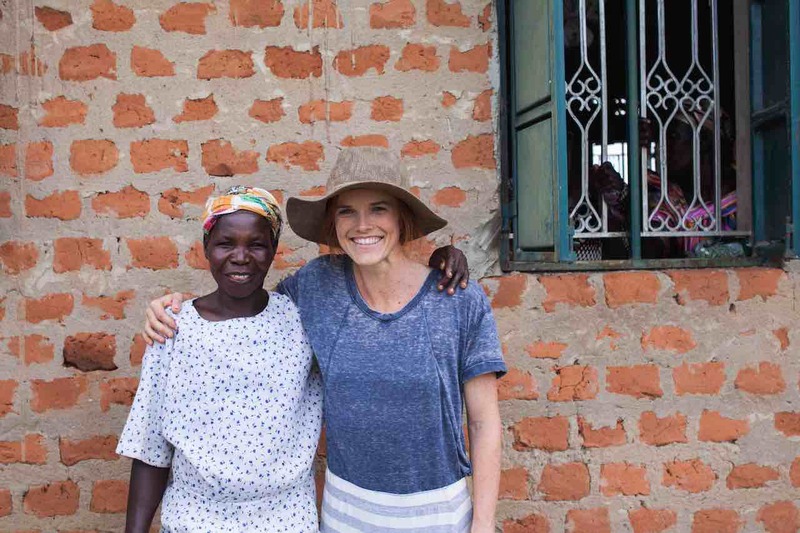 From this experience, the Love Mercy Foundation was born, with their simple mission to help rebuild communities disrupted by the civil war by empowering women and girls through access to education, health care, and income generation programmes. Love Mercy Australia values: One humble person can make a difference. To date the two major initiatives that the foundation have implemented are Cents for Seeds, a micro-lending programme that allows women to start a farming business, and the Kristina Health Centre, named after Julius’s mother, that provides basic medical services to the community so that villagers don’t have to make the 72 kilometre journey by dirt track to the nearest hospital. Both programmes have achieved their goals. So far 10,000 women have been able to start self-sustaining agricultural businesses thanks to a Cents for Seeds loan. The Kristina Clinic has had a massive impact on the health of the community which then has a direct effect on its social cohesion and economic security. Love Mercy hope to double the number of women helped by their Cents for Seeds program by 2020. As impressive as these achievements are, the Foundation is not resting on its laurels, setting itself some lofty goals for 2020. With Cents for Seeds they hope to double the number of women helped by the programme to 20,000 - an exponential growth target. As for the medical service, Love Mercy has plans to build and staff a maternity ward with an operating theatre in 2018. Such a facility will have a huge impact on the community by reducing obstetric risk of expectant mothers and their children. To be fully functional the unit will need to attract an obstetrician and an anaesthetist to handle obstetric emergencies and elective cases alike. An extension to the Kristina Health Centre will enable the clinic to provide maternity services, including the care of premature babies. 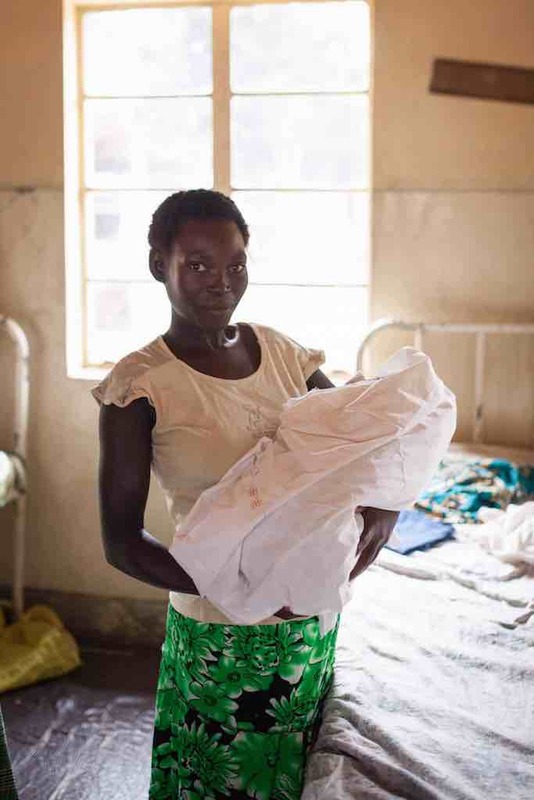 Eloise and I chat about the challenge of getting the maternity service off the ground and it is clear that there will need to be some initial oversight, perhaps by western trained doctors, to ensure standards of care are implemented properly, but ultimately it is hoped that it will be Ugandan doctors that provide continuity of care. Challenging indeed, but Love Mercy has proven its ability to build something where there was nothing before, so I feel confident that they can do it. So what of the founders? I ask Eloise if she sees herself continuing this kind of work. “Absolutely” she tells me. Athletes always have to think about life after sport, and Eloise thinks she has about 6 years professional running left (time for another Olympics, of course), but she is clearly enthusiastic about seeing the Foundation go on to achieve its full potential. As for Julius - he is now a Member of Parliament in Uganda from where he can represent the interests of his community with greater leverage. It takes a certain type of person to compete at the highest level of international sports, and when you see those qualities applied to the goal of helping others, it is truly inspiring. All photography by River Bennett courtesy of Love Mercy Australia.